PHP is backed by projects/companies that cover the entire spectrum of web development. Its ecosystem seems alive and thriving. I haven't used PHP in years but I kind of want to dip back into it. I swear the dev circle-of-life is about 3-5 years long - you wait long enough and what ever you are doing is going to be the hip thing again. I love the native (since PHP7) type hinting support. If can make type hinting into your company standard this will bring a lot of bugs into the light. Also, the beauty is that does not need an external library like TypeScript or Flow. The amount of companies using PHP is amazing. It may not have the Silicon Valley brand names like Microsoft or Amazon, but it’s used by more large companies than I think the average programmer realizes. In Silicon Valley, there is a lot of people hate PHP. However, there are a still a lot of startups using it, or they are using it on a product like Drupal or WordPress. Facebook was built using PHP, then they wrote another language, which the syntax is similar to PHP. when opted for php and finding yourself knee deep in ehm, php, you won’t have resources to develop HVVM or new language on top, which solves your problem with php. try launching webserver with bare php? message queue comsumer, cli script - dont forget to stick it into supervisor to restart, if you dont want it to leak memory. kafka consumers anyone? reactive services? Look, PHP might be a not-so-terrible choice to create a website. I've myself been using PHP before register_globals was defaulting to false. I agree, it's workable. I've been using it professionally for years. Yet, at some point I spent 1 month creating a project with Symfony (that was my first project and an old Symfony version). As I was not happy with the result, I did the same thing again but this time using Django. It took me about 3 days (that was my first time using Django and using Python as well). Now Symfony has changed (I gave a it few tries in between 2008 and now) yet nothing from the PHP ecosystem managed to get my heart ever again. I know that Laravel or Symfony kinda have that. But it's just not as good. So, no PHP for me sorry. Everything has its quirks, including Django. If you like Python, then go for it, but you can make just as good of an app in PHP. If you’re looking for an automatic REST API, PHP has Apigility. Laravel now has some efficient facilities for creating JSON APIs as well. You would probably love Laravel: it has, among a lot of other stuffs, a wonderful ORM (Eloquent) and a great migration system. Yet judging by the subtle acidic remarks you're trying to make, it's clear as day that you still haven't actually tried building a proper app with Laravel even though I invited you to do so in the past. You're biased as hell against PHP. It's easy to tell because in every other PHP post on this site I see you trying to convince people how Django is better. We already understand, you like Django and there's nothing wrong with that. Your reasons for liking Django however make sense to you and you alone. To counter your little 'remark', if Django was so much more 'advanced' like you're trying to insinuate maybe that 0.25% marketshare that isn't really increasing was bigger. And I'm not even saying Django is bad, I think it's a very good framework backed up by a coherent language. The simple truth is that Django never brought anything new or significant enough to the table in order to displace a significant amount of marketshare, no matter how much you like it. Do yourself a favor and actually build something with Laravel or even Lumen before you once again repeat the same single nitpicky anti-Laravel argument you have. Laravel and Lumen's strengths are something you should get educated about. If you're refusing Laravel because of some minor ORM issue that you can work around I'm afraid you haven't been paying attention, and once again proves you don't understand its strength. You remind me of the people who laugh at TYPO3 CMS. Then at some point in their lives, they need a system which supports highly custom multilingual websites very well. That's the moment they stop laughing. Ah but I learned, the last time we had this argument I didn't try to convince anyone to use Django and then I was urged to give the solutions I had in mind. I guess giving alternatives wasn't a good strategy either then. My point is still the same, PHP doesn't make sense and trying to make it better gets me tired. What makes it clear that I havn't tried it? That I still haven't changed my mind? The fact that you're still ranting about the ORM with complete disregard to the framework's strengths makes it clear you still haven't tried it. I already suggested that. Developers appreciate Laravel's clean and beautiful code, you can easily understand what's going on just by glancing over it (more so than your average framework). This makes development a pleasure and is the main reason why Laravel completely trampled its competitors (like Symfony, CodeIgniter or Yii) even though it's the newer kid on the block. Lumen is a microframework based on Laravel. The fact that you can seamlessly transition towards the full framework if you want to is its main strength. It aims to address Laravel's slower nature by having the granularity of only using the features that your project is actually using. PHP always made and will make sense for a long time, it's your anti-PHP opinion that prevents you from seeing it. Right now aside from the standard library inconsistencies (which really mean nothing if you're using an IDE) the language is actually very good. Improving its weaknesses is a sign that the language will be with us for a long time from now on, to your obvious dismay. The reason I'm ranting about the ORM is because nowadays it's 80% of what matters to me in a server-side framework. If you're fine representing your models as a stack of migrations you have to hold in your head I guess you'll have a better memory than I do. If you're fine merging migrations that will run in random order you'll probably get rich in Vegas. None of 100-something files generated by default nor controllers you have to create will be as readable as the code you don't have to write when doing the same thing with another framework not so slowed down by the language's flaws. I used to see the beauty in PHP and now I see the truth. It made me lose long hours I could have spent doing something else. Every time a client requires me to code PHP is a painful reminder of that. Migrations in random order? What do you mean by that? Laravel's migrations are very much executed in the order of creation date (you can change that order if you really want to but to be frank I never needed to do that). It sounds to me like you're required to support older PHP versions, because PHP post-7 is actually a decent piece of language and is fun with a good framework. I'm not confident about you being up to date with the current PHP ecosystem, that's all. Likewise, if you like Django that's perfectly fine. I think it's great too. But again, I think your reasons for preferring are alien. Perhaps your projects are different than mine and that's why. Doctrine tries to support everything, but has several issues since not all DB supports certain features. Cross db foreign keys are not support, and IIRC there's an issue with date/time type columns defaults of null(?). The last one, there's an easy work around. The first one, there is a code mod you can do, but modding the library will end up with issues later on when you want to upgrade. I actually like the '$' variable prefix. I didn't think I'd take the defense of Doctrine one day but in the case of cross-DB foreign key the reason is pretty simple: it makes no sense at all. Maybe your application can't get around it but if you ask me, solving this at ORM level is like the most convoluted and misleading way of doing it. Just saying. Excellent points, happy to see others feel same way about PHP. After all, it's just 1 and 0 that tell hardware to "do stuff", just slightly different way than some other language. Sadly it's very easy to start doubting yourself, specially with so many articles that don't really give specific reasons, just state that PHP is obviously very bad. "I've never run into these issues, is there something I'm missing? Maybe I'm not at that level yet to see it?" Even worse when these discussions happen on non-technical level - investors, clients, etc. Personally I believe it's not the tools you use but how much care you put in it that makes the difference for clients. IMHO how much you care gives you an effort budget. The more hurdles you'll find on the way and the more you'll tap into that budget. So while you can accomplish anything in PHP (Wikipedia and Facebook for starters) sometimes it's just not worth spending your budget while other things are so much easier to use. I think that PHP is hated by technosnobs, by posers and by coders who don't know PHP. PHP is a way to develop efficients web applications in many flavors at reasonable cost. It's stupid today to speak about old register_globals=on or forgetting to use ===, because a serious coder knows the difference between == and ===, and knows too that data input have to be filtered as he knows that prepare statement is a good starting point, with filtering, to avoid SQLI. Can you give a bit more detailed example? You see, 99% of posts/articles say "it's just simpler", but hardly ever give examples of what these "things" are that make other languages better. Just trying to understand what other peoples concerns are, and then figure out how would I overcome same issues with my choice of language. I can see from your other post that ORM is something you consider important. There are independent libraries that offer ORM capabilities, and there's one packaged in with most, if not all, PHP frameworks like Laravel or CodeIgniter. Did you highlighted it because "it's not built in as part of language"? Completely agree with "effort" budget - if you have to do same things over and over and over again, it'll get boring and as a dev, you loose interest. Indeed, Laravel fights this and has gone a very long way. 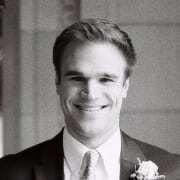 But why spend hours trying to figure which of your 200 files prints that space at the end of the JSON (that you didn't notice for the first hour) while you could just use a framework that is able to write your REST API at run-time using simply your data model and a tiny bit of configuration? Talking about building a REST-API and GraphQL application using PHP you can use the API Platform project api-platform.com/ (based on Symfony components). You can enable any model as REST/GraphQL endopint by simply adding an annotation to your model class. Build a fully-featured hypermedia or GraphQL API in minutes. Leverage its awesome features to develop complex and high performance API-first projects. Extend or override everything you want. Instantly generates a PHP data model from the Schema.org vocabulary. Let the ORM create the related tables. Adds a convenient Material Design administration interface built with React without writing a line of code. It's a Progressive Web App! Scaffolds a Progressive Web App (React or Vue.js) or a native mobile app (React Native), and edit it to fit your needs. I do not like PHP. But to say that it is bad for things like: "If you forget the '===' you create a security problem", is silly. Well, do not forget it! They pay us for this, if you forget something like that it is doing bad work and period, it has nothing to do with language. No PHP developer that can pull his own weight forgets '===', it's just Remy being silly again. Something I'd like to ask to those using PHP is "What do you know about PHP now that you wished you knew when you started?" I wish I had known to learn a framework and to learn security from the start. I've been trying to push for this more on places like Stack Overflow but there's a surprising amount of resistance to the very idea, something that I find is relatively unique to PHP. I get a lot of "this is just for testing, security can come later" and "I want to learn, I don't want a framework to dumb it down for me" as push-back, which is not always easy to address. PHP desperately needs more security and framework proponents. So it's more developer issue than issue related to PHP itself - any language can cause SQL injection, if you pass data straight from user to DB query as is. StackOverflow is a tough place to change opinions. A lot of people on there have unwelcoming attitudes. Unless you are making a really small website, there is no reason to not use a framework. Even for a small site I would recommend using something like Slim. Not taking security seriously is pandemic to all of programming, but it feels worse in PHP. I do wish there were more books or sites that focus on PHP security. It’s something I have thought about writing. Could be that because PHP entry level is so low, you do have a lot of people that haven't got their fingers burned yet. It really needs to be multi-level approach, as if your sys admin (if that's separate person) doesn't do server bit, the app is still wide open for abuse. If you are considering writing an article, I'd sure be interested in reading it. You can SQL inject in any language, absolutely, but it seems like the drivers that ship by default with others have examples with placeholder values as a rule. While the official PHP documentation does a great job of walking people through how to use things like PDO or mysqli, these pages are buried SEO-wise by a metric ton of junk that doesn't, especially in the YouTube department. The PHP world has an unusually high number of frameworks, maybe a dozen depending on your definition. In the Ruby world we've got basically two. Python? Three-ish. Node? Everything builds on Express.js. PHP has so much choice! I think the problem is so pervasive, it's basically endemic to large parts of the PHP world, that it calls for some kind of intervention. An article won't be enough. This requires a pretty serious effort to disrupt what the current top-ranking results are for common inquiries like "how to php mysql" and such. As much as I appreciate OWASP, it's a bit too theoretical for most people to absorb, especially newcomers who just want a how-to type introduction. It's at that point they're the most vulnerable to bad advice. It’s hard to turn the direction of a large ecosystem, but it would probably take creating something like a PHP security initiative which would provide high quality documentation and videos that would become the reference point for good security. It would have to be something the whole community can get behind. I think frameworks have made the situation much better since they have more secure defaults. However, developers need to be able to understand what the framework provides so they use it appropriately. PHP does not support multi threading in a Web Development environment. Not a big thing, but definitely leaves you pining for other languages when the need presents itself. I love what FB did - they started with PHP and then instead of switching to Rails or Go as they grew larger, they created their own fork which both outperforms the original and was way more advanced before PHP7 was released. Even nowadays I find HHVM hot - you can utilise cooperative multi-tasking simply by prefixing your method with async and then awaiting at runtime, how neat is that? So yeah, there is plenty to still like and be excited about with PHP in 2018! As developers have matured around PHP over these years, there continues to be really solid foundation of experience and community to be a part of. My journey has taught me that there are many many many amazing tools and languages out there and the more opportunity you have to expose yourself to them better informed your decisions will become. I hate to generalize too much, however I'll allow it this time... I do suspect that some of the discourse against PHP is coming from people who identify with a specific language or use case; which leads them to take the defensive stances against PHP. Instead of a perspective it becomes dogma to them, built into a belief system of sorts. Making it more challenging to discuss a differing perspective or opinion. So in conclusion, PHP is a great language to build something with; get out there and make something! I use PHP with Slim framework to build a mobile banking backend that is used by millions of people and it does the job. It has an awesome set of tools that help to build maintainable products. The major drawback is about asynchronous tasks, but it can be achieved somehow else, with Swoole for example. I really love Laravel, it's a beautiful monument of software architecture. But I also recommend to Ruby and Ruby on Rails. In both frameworks/languages you can built amazing things easily. PHP has the defacto OOP specs, but ruby is magic and, as everything is a object (EVERYTHING), I consider it THE OOP LANGUAGE YOU MUST LEARN too. BTW. If someone is about to complaint in favor of Node and JS, check out AdonisJS framework, a really truly MVC framework for Node, aaaaand is based on Laravel. Also, try adonis too. I think languages and frameworks has their strengths and weakness. Node has async execution and websockets made easy. Ruby a easy language to run. PHP a good and easy deployable code. Also there are many strengths more. Think simple, dependes buget and needs. I'm fan of php but i think every programmer should use 2 or more language. I wanna learn python because it's usefull for what i need, i want. 2) Cleaning up someone else's terrible, horrible, no good, very bad PHP app. That’s a valid concern, a lot of PHP jobs are related to WordPress. PHP is just as capable as Python or Ruby, but since those two languages are more popular in startups, that has an effect on developer perception. PHP has been dominating the world wide web since its first release in 1995. It's relatively easy and can get the job done quickly. I don't see why I would abandon it anytime soon. I was dreading the PHP aspects of my current internship before I started, but it's been amazingly convenient for bulking up the company's ERP and CRM software. Works very well with MySQL databases to create reports and handle web forms. I wrote a blog post on a similar topic: Should I learn PHP in 2018. Thanks for providing the resources to start learning PHP, maybe you can mention also Udemy and laracasts - excellent resources to start from. There should be NO DOUBT that PHP is THE greatest programming language for the WEB! PHP is awesome! Haters can keep doing what they do best. I still don't understand why some people need to attack PHP or any other programming language! I think it is not about love or hate, it is about what you need to use to make an app so you get paid! Simple as that. And in that context, NO ONE can deny that PHP can SURELY make you some good money, whether you do freelance or you seek small/medium/corporate work. Preach it friend! Preach it! Totally agree. PHP is still the easiest one to learn for beginners. But due to it's blocking model it might not be that useful as nodejs when it comes to realtime applications. This article describes exactly what discussion I have with my employee over and over again. He is completely against PHP and I try to show him that PHP has also some nice advantages.